Cider was the original drink of American immigrants, but during the dark years of Prohibition cider orchards were either destroyed or replanted to grow dessert apples. 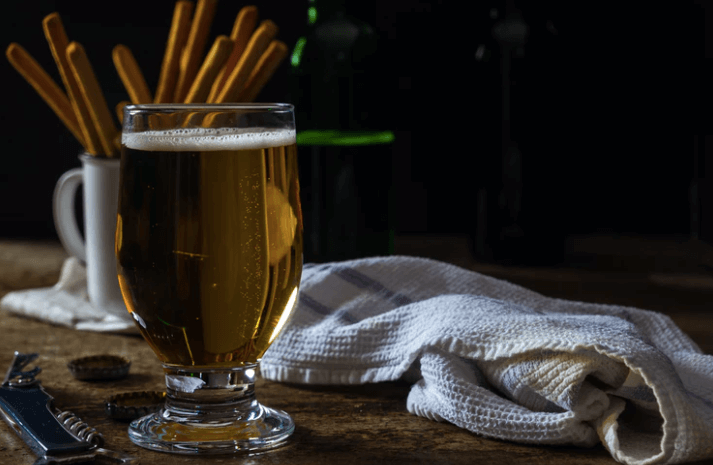 After years of being eclipsed by beer production, cider is now is one of the fastest growing beverages in popularity and gaining attention as a delicious, versatile and enjoyable drink. 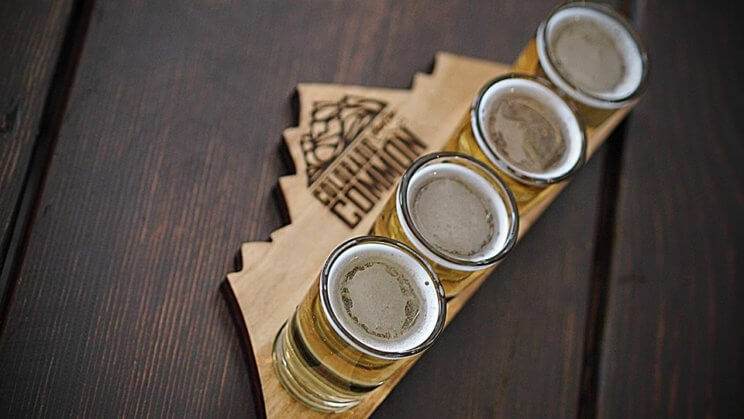 Visit these 16 craft cider spots in Colorado and try for yourself this delicious drink! 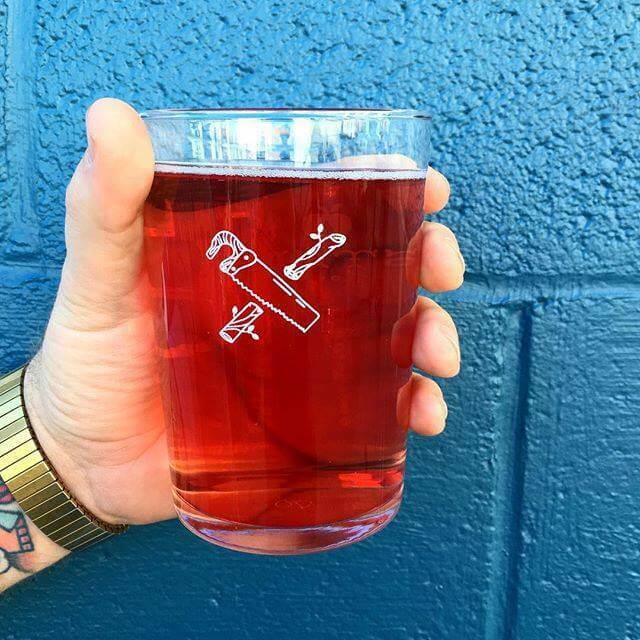 Stem Ciders is nestled in Denver’s RiNo district and is a lovely urban cidery. 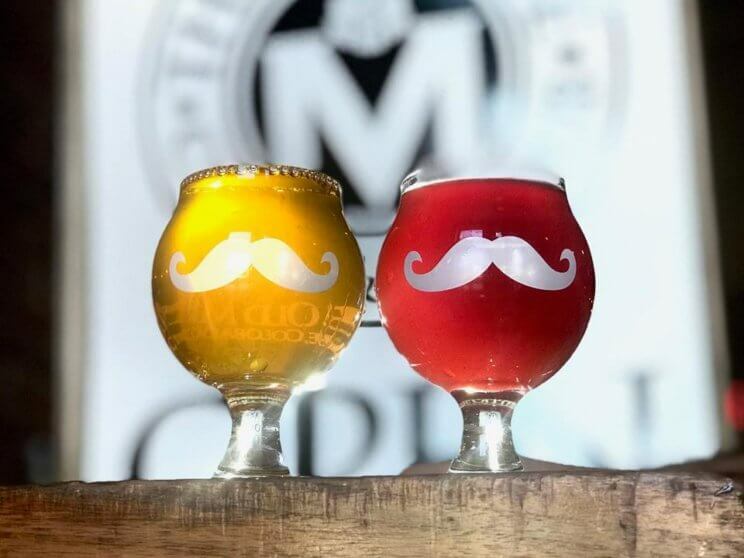 Since their first batch of cider in 2013 they have created delightful drinks such as Crabby Neighbor (made with crab apples from the Western Slope) or a classic Colorado Heritage Blend; they are always working on something new and delicious for your glass. Stem Ciders is located at 2811 Walnut St #150, Denver, CO 80205. 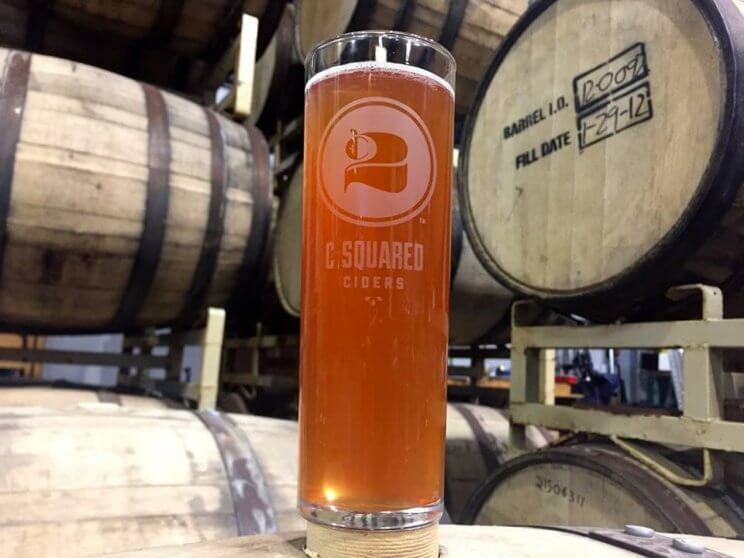 The creators of C Squared Ciders have extensive backgrounds in brewing and wine making and are pouring all their love and experience into the apples to create something delicious. Their Siren line of ciders have gathered quite a few awards at cider competitions. If you aren’t close to their tasting room in the RiNo district in Denver you can find their cider throughout Colorado and Minnesota in bars, restaurants and liquor stores! Psst… If you visit the tasting room try the duck-fat fries. People rave about them almost as much as the drinks! C Squared Ciders is located at 2875 Blake St c, Denver, CO 80205. Colorado Cider Company has been working hard to create cider from apple to glass up to planting their own orchard on the Western Slopes with 1000 trees. They have created awarding winning ciders like Grasshop-ah and Ol’Stumpy that can be found in their tasting room in Denver, or in restaurants and liquor stores across Colorado. Colorado Cider Company is located at 2650 W 2nd Ave #10, Denver, CO 80219. Wild Cider tasting room and orchard are located north of Denver with stunning views of the Front Range. They have over 1100 trees of English variety of cider apples and you can taste it in their range of delicious ciders. From classic Apple to the popular Lemon Basil they are a good to the bottom of the glass. 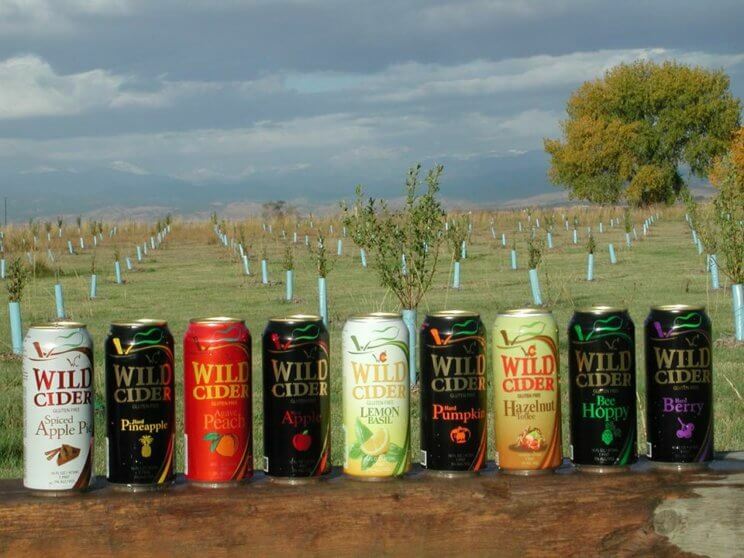 Wild Cider is located at 11455 Co Rd 17, Firestone, CO 80504. Summit Hard Cider has a lot going on these days. 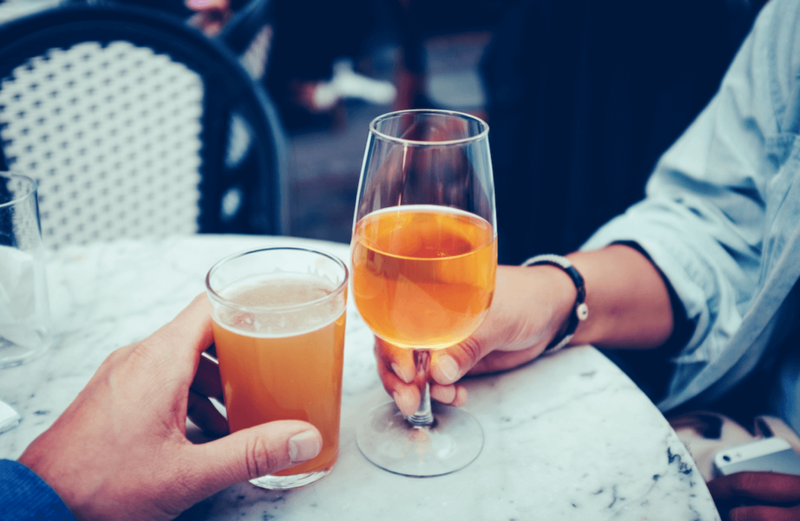 Located in Old Town Fort Collins, you can find the variety of ciders at Scrumpy’s Hard Cider Glider Bar and Pub from the semi-dry Jenny Wren to the often requested Strawberry Basil, and in other liquor stores across the Front Range. They own and operate Summit Mobile Juicing that will bring a trailer sized juicer to farms across the front range to help farmers process, pasteurize and package the their fruit. 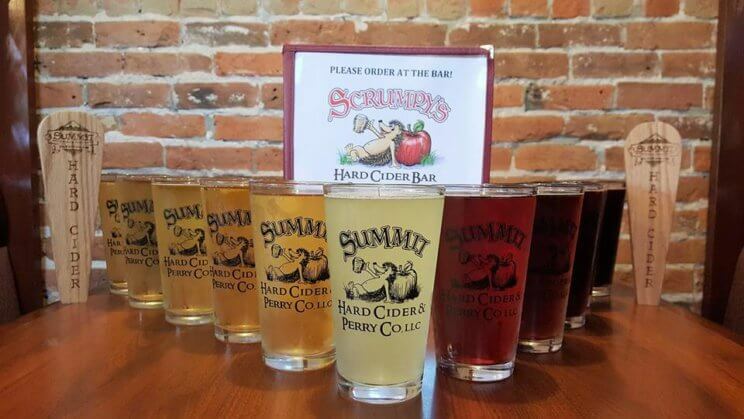 It isn’t just about the big farms however, Summit Hard Cider also acquired Branch Out Cider, a local fruit harvesting program dedicated to that apple tree in your backyard. They will come pick, process and create delicious cider out of apples from your tree, and you get to taste the rewards without having to do anything but register your tree! Scrumpy’s Hard Cider Bar and Pub is located at 215 N College Ave, Fort Collins, CO 80524. Apple Valley Cider Company is just getting its first batch of cider and it is nestled in the right place for it! Located in Penrose, CO known for the fruit orchards this little cider company is poised to fill a cup with delicious joy. 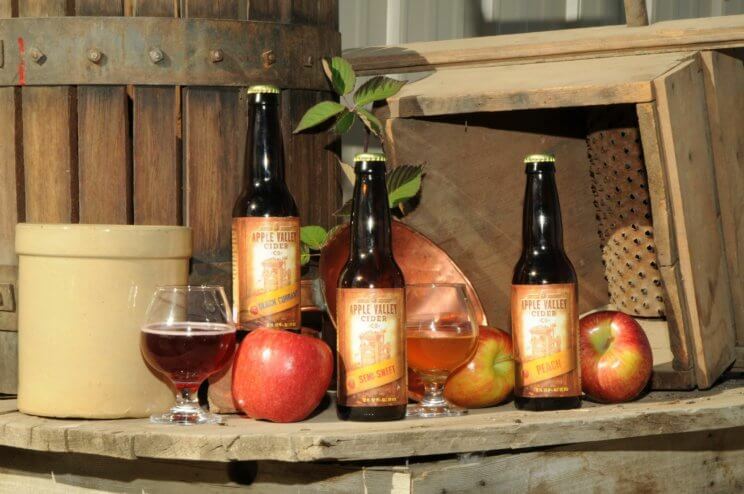 Apple Valley Cider Company serves at the following locations. Big B’s Juices and Hard Cider is creating more than just cider, they create community. From an orchard where you can come and pick your own food or visit the Orchard Store, Cafe and Tasting Room, they sell juices, apple vinegars and of course hard cider. Psst… If you can, get a taste of their award winning Pommeau -a bourbon barrel aged glass of joy. 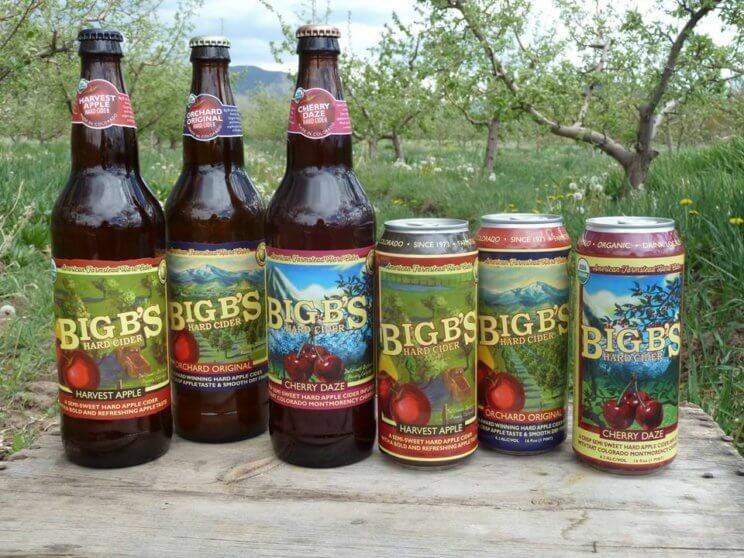 Big B’s Juices and Hard Cider is located at 39126 Highway 133, Hotchkiss, CO 81419. Photograph courtesy of ©Climb Hard Cider Co. Besides feeling quite passionate about cider, Climb Hard Cider Co. also cares for the planet. You can go green and try it out at the tasting room, or take some home and return the class bottles and get a deposit back (50.) or take more bottles home filled with delicious cider. Find their deliciousness around Colorado in a variety of stores! 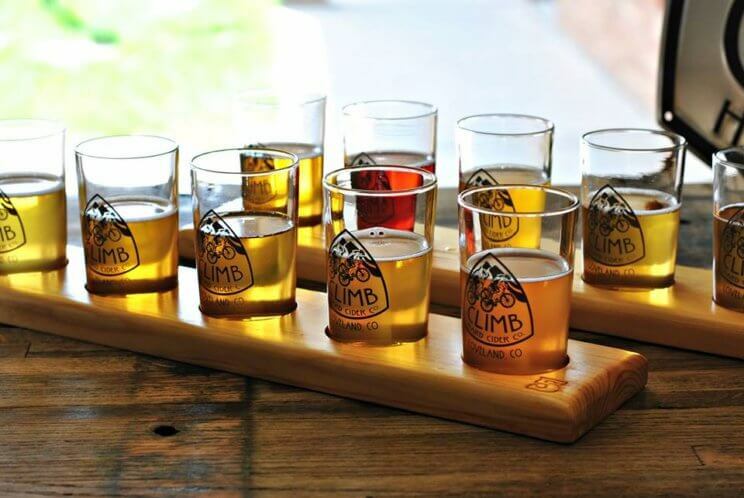 Climb Hard Cider Co. is located at 2707 W Eisenhower Blvd, Loveland, CO 80537. 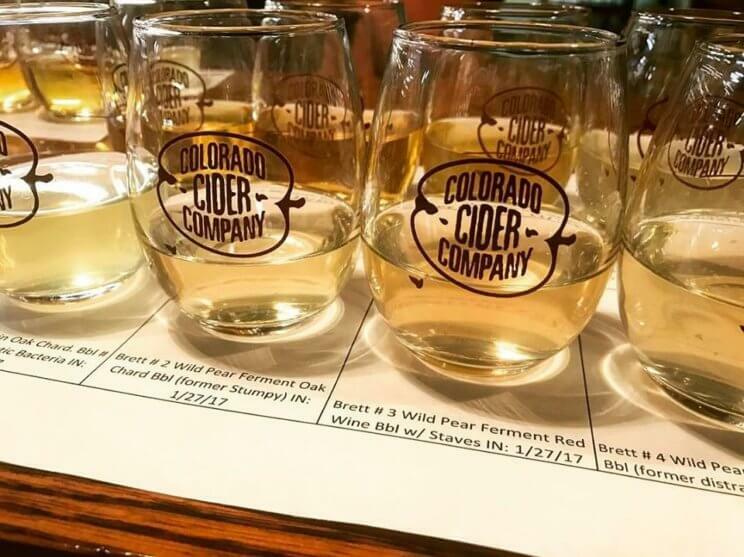 Colorado Common Hard Cider is one of the newer cideries in Colorado, but they are making bold choices that leads to delicious cider. With a friendly tasting room with cider and beer on tap, they produce a delightful range of drinks, like their Ginger & Mountain Elderflower, a semi dry cider with real ginger and organic elderflower. Psst… If you aren’t near Colorado Springs, never fear! You can find their cider across the Front Range and expanding more every day. Colorado Common Hard Cider is located at 4655 Town Center Dr #130, Colorado Springs, CO 80916. Haykin Family Cider is a husband and wife team who started making cider in 2013 and have already won awards for their sparkling beverage! This award winning cider is available through order online or in their brand new tasting room (opening Feb 1!). 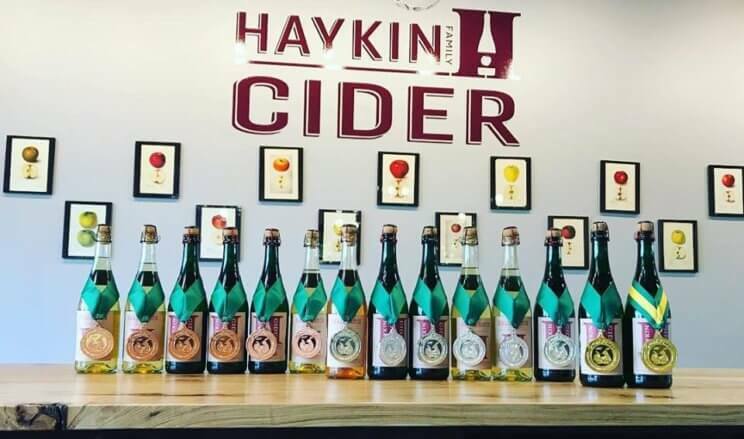 Haykin Family Cider is located at 12001 E 33rd Ave, Unit D, Aurora, CO 80010. The Ice Cave Cider House features ciders with classic British dryness, but still delicious. This is another small and charming cidery that is worth a visit. The Ice Cave Cider House is located at 174 Washington St, Monument, CO 80132. Jack Rabbit Hill is a diverse farm that grows and produces a variety of products to eat and drink including New Avalon Grower Ciders. Jack Rabbit Hill is located at 26567 North Rd, Hotchkiss, CO 81419. Snow Capped Cider is a branch to bottle cidery with 105 years of apple growing in Colorado. They have a lovely tasting room in The AppleShed, not far from the farm! 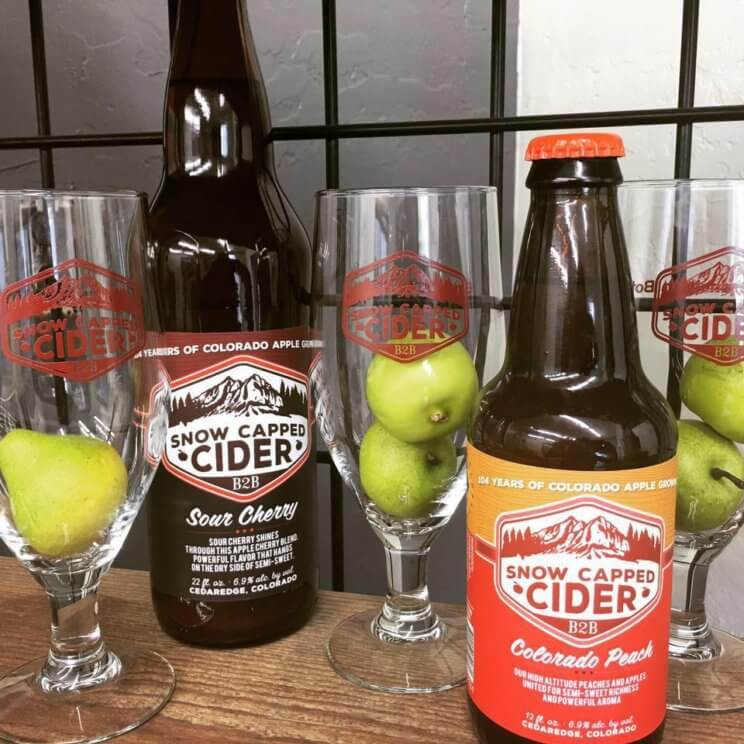 Snow Capped Cider is located at 21180 Fruitgrowers Rd, Austin, CO 81410 & The AppleShed is located at 250 S Grand Mesa Dr. Cedaredge, CO 81413. 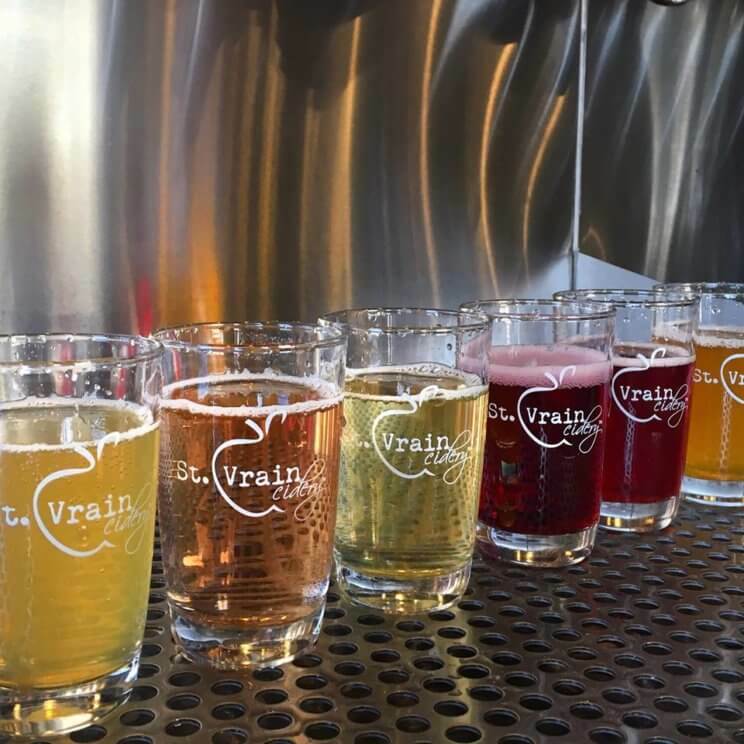 St. Vrain Cidery, a lovely cidery and tasting room in Longmont, has a full calendar of music, craft nights, and a variety of food trucks every month. 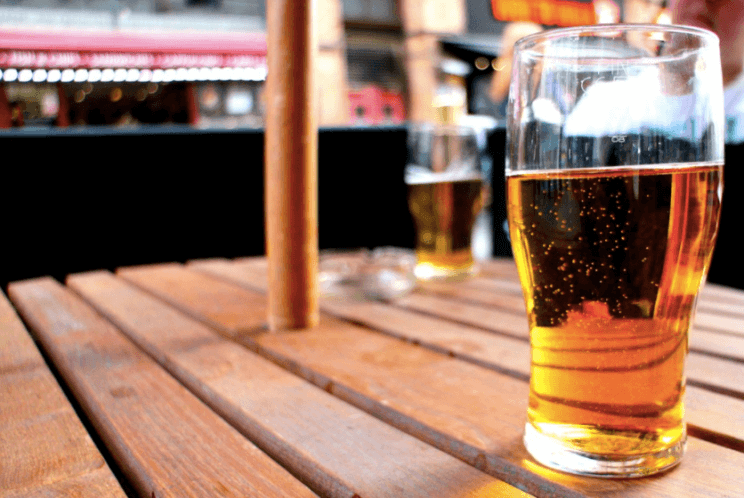 They have ciders and events you won’t want to miss! St. Vrain Cidery is located at 350 Terry St #130, Longmont, CO 80501. Talbott’s Cider Company has a lovely orchard and farm that was planted around the turn of the last century. It produces fine Western Slope cider and pear cider, for Colorado in every sip. 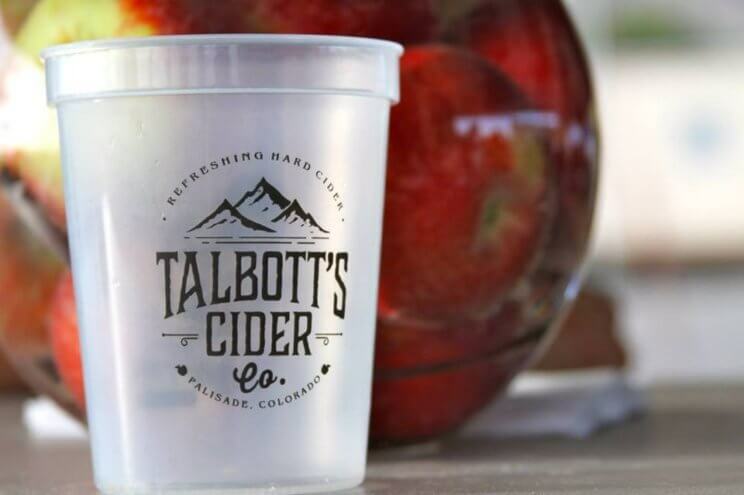 Talbott’s Cider is located at 3782 F 1/4 Rd, Palisade, CO 81526. The Old Mine has in-house hard cider, beer, pizza and BBQ, plus a Little Man Ice Cream right next door!). They also host “Mining for Good” where they open their space for groups to host fundraisers for charity. Cider and charity, a refreshing combination! The Old Mine is located at 500 Briggs St, Erie, CO 80516.